Congratulations to both cardboard boat teams from Aberfoyle School in Puslinch. 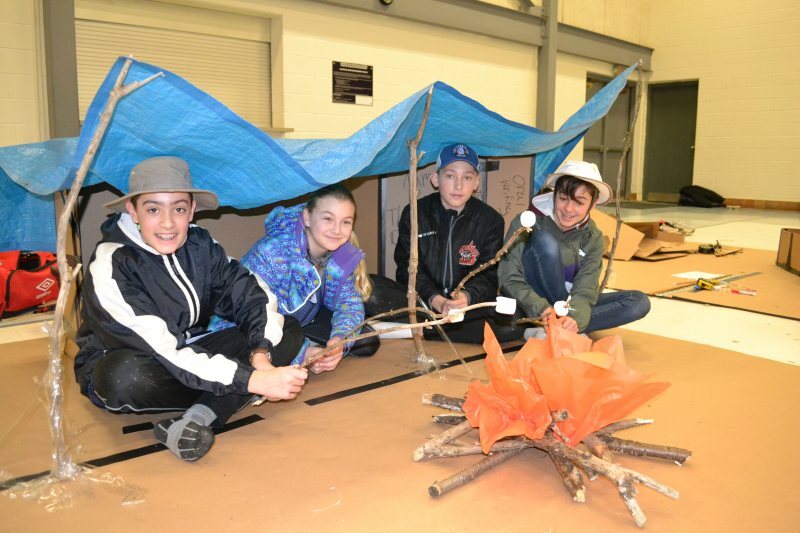 The teams won gold and silver medals at the local Skills Ontario, Cardboard Boat Contest in Fergus, Ontario on Tuesday, February 5. Aberfoyle’s Team 2, Boat # 27, won the gold medal with time of 22.5 seconds (for 25 meters), a total weight of 408 pounds or 185 kilograms and a technical score of 27.75 for a point total of 95.75. Judges and spectators also enjoyed the campfire with roasting marshmallows decoration theme created by this team for their boat. 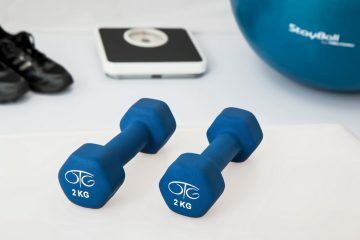 Aberfoyle’s Team 1, Boat # 3, won the silver modal with a time of 25 seconds (for 25 meters), a total weight of 506 pounds or 229 kilograms and a technical score of 26.75 for a point total of 94.75. Judges and spectators also enjoyed the Black Pearl Pirate Sail Ship decoration theme created by this team for their boat. 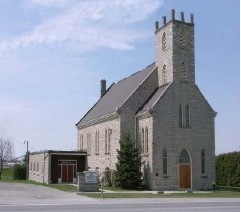 Both teams will be heading to the Provincial Cardboard Boat Contest Championship in Waterloo on March 6. 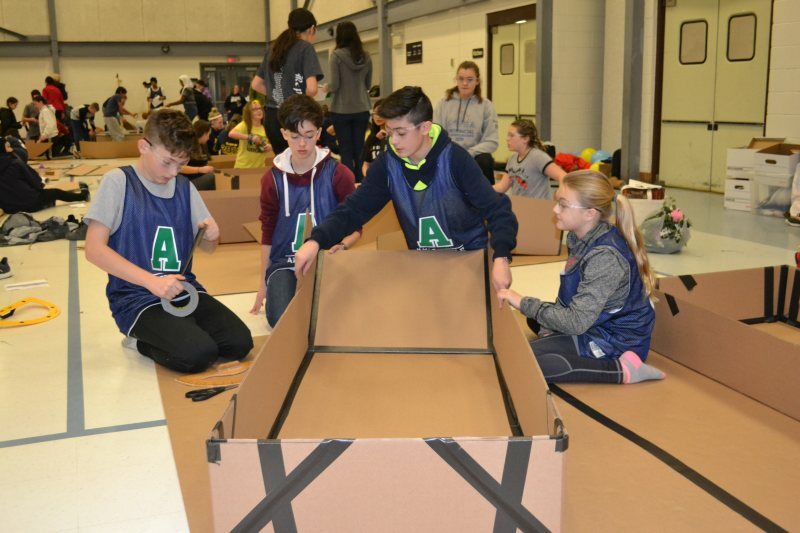 Aberfoyle School’s Cardboard Boat Team 2 (Boat # 27) and gold medal winners in final stage of cardboard boat construction and decoration on February 5. From left to right, Zain Patel, Sydney Huether, Myles Klassen and Jocelyn Grant. Aberfoyle School’s Cardboard Boat Team 1 (Boat # 3) and silver medal winners display their decorated boat prior the in-water portion of the competition on February 5. From left to right: Campbell Schnurr, Abby Gerrard (seated), Liam Derderian and Asad Syed. Cardboard boat number 27 by Aberfoyle School’s Team 2 begins to take shape during the two-hour build. 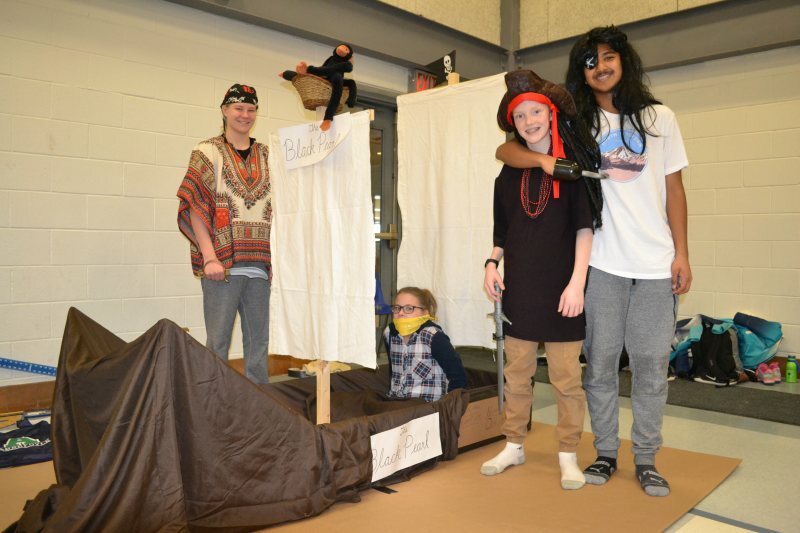 From left to right: Myles Klassen, Jocelyn Grant, Zain Patel and Sydney Huether. 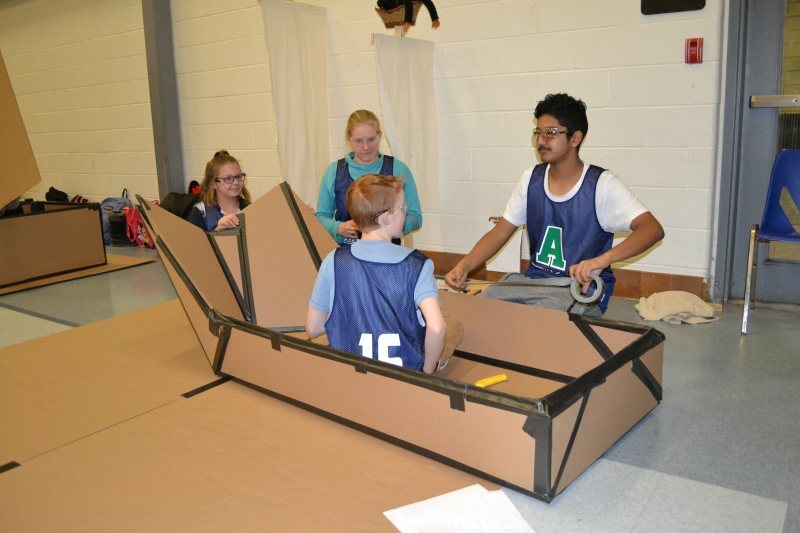 Cardboard boat number 3 by Aberfoyle School’s Team 1 in final stages of construction during the two-hour boat build. From left to right: Abby Gerrard, Campbell Schnurr, Liam Derderian and Asad Syed.